This week, we are keeping it light-hearted with an article based on a simple question- what would you listen to if the world was ending? We mulled it over and picked some great songs that fit thematically or through a function of motivating you. Music may not be the first thing on your mind at the end of the world, but it’s something that can help you get by. It can calm you, get you amped, and even let you reflect on your past. 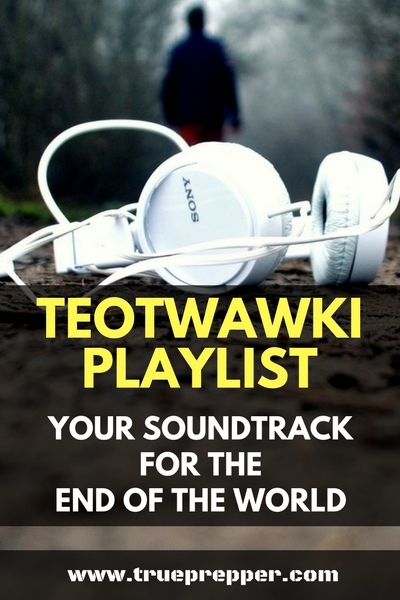 We’ve grabbed some songs that pair well with end of the world predicaments, and curated them into a list below. You may recognize a few from some apocalyptic movies, and a few are just common sense. 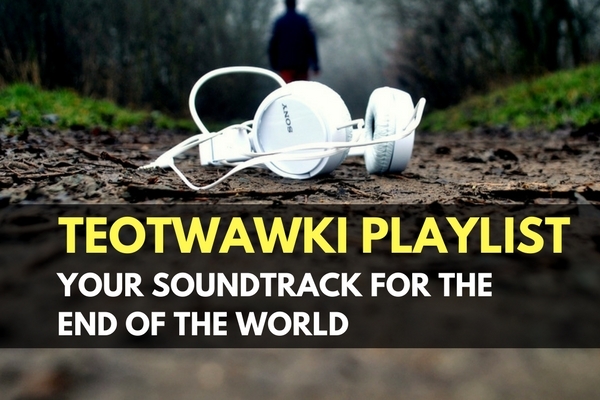 Turn on your speakers, load up your TEOTWAWKI playlist, and get ready to rock out- even when SHTF. We’ll go ahead and get R.E.M. out of the way, since that is what everyone thinks of when you bring up TEOTWAWKI and music. This frantic song is perfect to start off our playlist for the end times. This upbeat song may be just what you need to overcome the next obstacle in your path. Bob Marley always lifts my spirits and his laid-back charm could help your spirits be lifted in even the darkest times. This song helped Will Smith get through tough times in I Am Legend, an okay zombie movie with a little too much CGI. Melancholy may be the best word to describe your mood at the end of the world. Nirvana has you covered with this great song about man’s destructive power and greed. If you prefer the original David Bowie version, go ahead and grab that one for your playlist instead. Some people will just embrace the end, and this song is for them. Drowning Pool put out one of the best songs out there to get you amped for whatever you need to get done. The Grammy winner may not be your favorite, but it describes how many may be feeling at the end of times. Reaching out to a higher power for help may be just the thing to help you get by when SHTF. Enough of the Carrie Underwood, let’s get back to the rock staples. The Rolling Stones have a great song for the end of the world in Paint it Black. If you are feeling wistful, or just feel like remembering the better times, the Beatles have the perfect song. This easily makes it on the playlist since remembering how you lived your life will be on everyone’s mind during SHTF. We have to include a song filled with an appreciation for the world that we live in. If you haven’t made the most of your time here, you’re lucky the end is not upon us yet. It’s not too late to appreciate the world we have and to get prepared for any ‘speed bumps’ along the way. There is a good chance that you could get numb to your surroundings at the end of the world. The pressures of survival and inevitable loss you will experience can make you callous to your emotions. This Pink Floyd classic captures that melancholy you could experience. The Man in Black himself rounds out our list with the last song he wrote before his death. The haunting ode has several references to the Bible, including the Book of Revelation. It is a great song to cap out our list at number ten, and finishes up our TEOTWAWKI playlist solidly. Musicians have been touching lives for ages, and they will continue all the way up to the end. Music can keep you going when its tough, lifting your spirits. It can also get you amped up to accomplish what you need to do to survive. We struggled to keep the list down to ten, but feel free to add your favorites that you will have queued up at the end of the world to the comments. Next week we are getting back to the more cut-and-dry prepping content, so be sure to subscribe to stay up to date. Keep exploring, stay prepared, and be safe.